HC IMPACT is the opportunity to connect with and learn more about the community we live in. I came into it with an open mind and came out a completely changed person. HC IMPACT, the Honors College's service week (Sunday, August 18th-Sunday, August 25th), is open to 40 incoming HC members who will be introduced to a variety of different focus areas related to social inequity and inequality (such as, but not limited to, poverty, health, education, and environment) and do service with various community organizations in the Greater Lansing area. 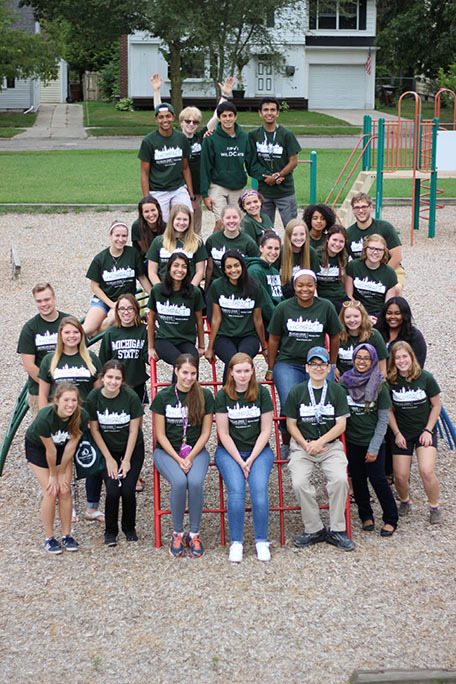 Each day will conclude with engaging reflective discussions to connect the day's materials and participation in social activities further introducing you to the MSU and East Lansing community. The program will extend into the academic year with connection to an Honors freshman seminar course (UGS 101H) and an Honors English course (ENG 211H). 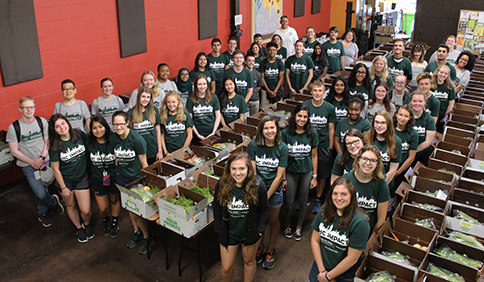 The freshman seminar is a 2-credit course in the Fall semester focusing on topics covered during the summer program that provides the opportunity to continue the service experience with a community organization of your choice. The English class can serve as a Humanities (IAH) substitution or a Tier I Writing course, depending on what is needed. The HC IMPACT Program will cost participants approximately $150, paid towards early overnight housing expenses and charged to the Fall semester bill. Scholarships may be available to help defray this cost. The HC IMPACT Mentor application has now closed. Visit this page for further details. Please direct any questions about HC IMPACT to Academic Advisor Erika Trigg Crews.